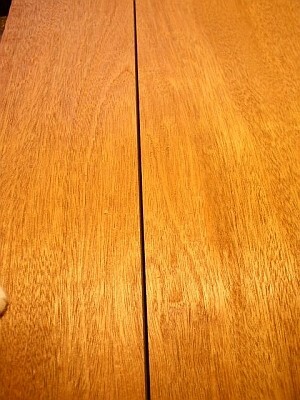 The mahogany is cut on the slab. 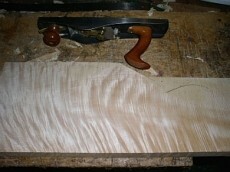 To extract two symmetrical quartersawn neck blanks it is cut through the middle. 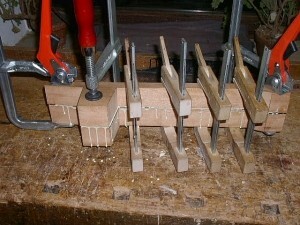 The rough sawn neck blanks are joined. 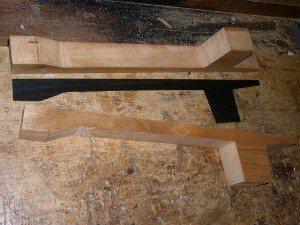 A thin center strip of ebony is prepared. 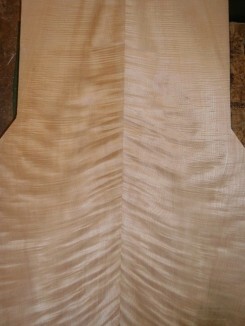 The neck blanks are laminated. 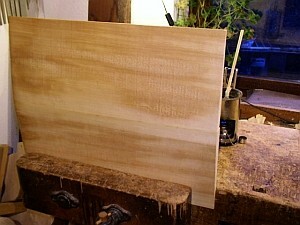 The sides are rough sawn, planed on the outside and brought to thickness (2.2 mm). 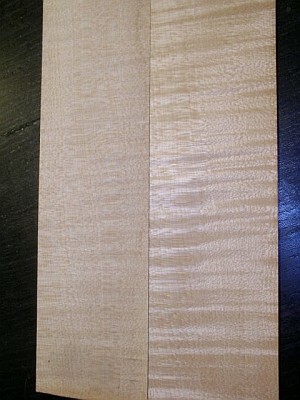 The distinction between the rough sawn and the planed side is clearly discernible. 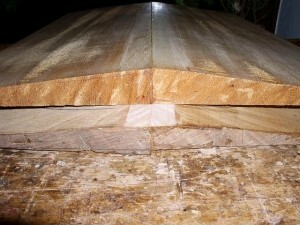 The top is trued, joined and glued with animal glue. The back is trued, joined and glued with animal glue. 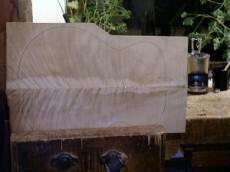 With the top and back joined and their undersides trued one can now start to saw the outline of the body and carve the arching of the plates.